Kalamazoo, MI: On August 15th, 2017 in the early morning hours, officers from the Kalamazoo Department of Public Safety were acting on information from a Silent Observer Tip regarding suspicious activities in the 2800 Block of Amherst in the Oakwood Neighborhood. As a result, officers conducted a traffic stop on a vehicle leaving the address and located stolen property. 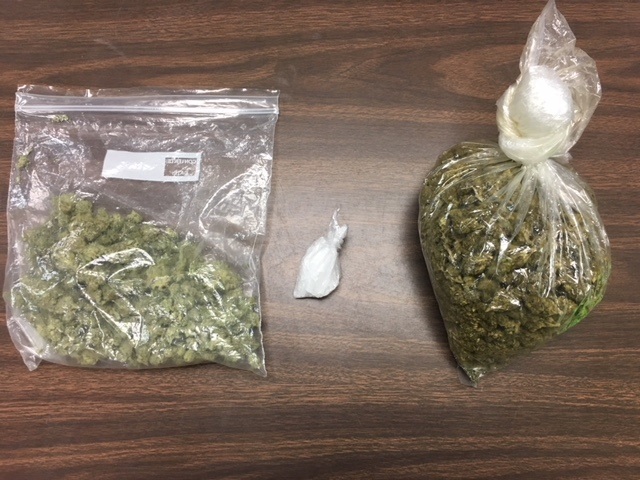 The passenger in the vehicle was arrested on an outstanding warrant and the driver was identified as the resident from the original Silent Observer Tip. Based on evidence discovered during the traffic stop, officers were able to obtain a search warrant for the residence. Officers executed the search warrant at the residence and found numerous stolen items, drug paraphernalia and suspected methamphetamine. Although no arrests have been made in this case, charges will be sought against two individuals; one for possession of methamphetamine and the other for larceny from a vehicle and receiving and concealing stolen property. The Kalamazoo Department of Public Safety and Silent Observer strongly encourage the reporting of criminal activity. As demonstrated in this case, a citizen’s tip reporting one type of activity can unveil other unreported crimes. On May 14, 2017 at approximately 0750hrs, the Kalamazoo Department of Public Safety was called to the 1400 Block of W Main St in reference to a vehicle accident with injuries. Upon arrival, officers found a small pickup truck had careened off the roadway and launched into the front porch of a residence. Prior to the arrival of emergency responders, the operator climbed out of the truck and collapsed on the roadway. Fire and medical personnel quickly rendered aid and the operator was transported to an area hospital. A subsequent search of the vehicle yielded a large quantity of stolen property, methamphetamine lab components, drug paraphernalia and a small quantity of suspected narcotics. At this time, drugs and/or alcohol are suspected to be factors in the accident. Several charges will be sought against the operator, a 25 year old Kalamazoo resident.